TRENTON — The head of Gov. 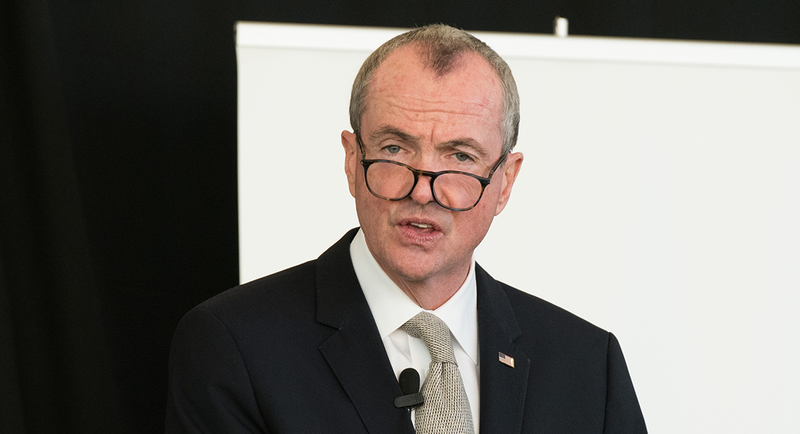 Phil Murphy’s transition team testified Tuesday that he does not know who appointed Al Alvarez to a state job, even though he had introduced the former campaign adviser to his future boss at the Schools Development Authority. Jose Lozano, the former executive director of the governor’s transition team, told the state Legislative Select Oversight Committee it was Alvarez himself who indicated he had been picked as chief of staff to the SDA. “It would not have been uncommon — since it was not in my purview to approve or have the authority to hire someone to the administration — for someone to come to me and state that they had been hired or approved,” Lozano said during a day-long hearing at the Statehouse. Despite not knowing who had authorized the hiring, Lozano said he sent a text message to Charlie McKenna, the head of the SDA, informing him that Alvarez would be his chief of staff. “He texted me to say, ‘I’d like you to meet Al Alvarez; he’s going to be your chief of staff. Can you meet him today?’” McKenna testified in December. The disclosure raises sharp new questions about who, if anyone, approved the decision to hire Alvarez — an outcome that occurred even after the transition team was made aware that Alvarez had faced an allegation of sexual assault by a member of Murphy’s transition committee. The select committee is examining why Alvarez was put in the position, as well as why it took so long until he left. Katie Brennan, a former campaign volunteer and currently a state housing official, told top aides in the governor’s office in March that Alvarez had raped her in 2017, but Alvarez did not resign until Oct. 2, after an inquiry by The Wall Street Journal. Lozano said he learned of the allegation — though not the identity of Alvarez’s accuser — in late 2017 from the transition counsel, Raj Parikh. Justin Braz, now Murphy’s deputy chief of staff for legislative affairs and a friend to Brennan, had disclosed the allegation at Brennan’s request. Braz had also told Pete Cammarano, then Murphy’s incoming chief of staff. They learned a short time later that prosecutors who had been investigating Alvarez were not going to press a case against him. Alvarez was subject to a background check, but Lozano said it was not as stringent as the check cabinet-level officials must pass. “The background check came back clear that he did not have any sort of accusations,” Lozano said. Lozano said he never spoke with Alvarez about the allegation, in accordance with Parikh’s direction. Parikh also did not confront Alvarez, he said. Still, Lozano said, he did not feel completely comfortable, but did nothing to prevent Alvarez from being hired. Lozano said he hoped, in the future, that others would be required to go through more detailed background checks before receiving state employment. Lawmakers on the committee seemed taken aback by Lozano’s ignorance as to who had hired Alvarez, and several said they found it indicative of a general theme that no one was taking responsibility for various decisions that had been made.